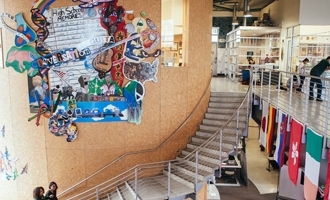 EdSurge was started in 2011 by Betsy Corcoran, Matt Bowman, Nick Punt and Agustin Vilaseca to connect the emerging community of edtech entrepreneurs and educators. The team wanted to share detailed information about what new technologies could – and could not – do to support learning. EdSurge shares information vital to all in the ecosystem: trends, available jobs, opportunities and events. At the moment, it is building a database of rich information about emerging products and how they’re being used. It also runs a series of conferences where educators and entrepreneurs meet on common ground and exchange feedback on how to build and refine tools to improve educational outcomes. Tony manages the editorial side of EdSurge, which includes covering the news, managing op-eds and packages, and putting together the weekly newsletters before the break of dawn. He also organizes the monthly SF Edtech Meetups and speaks at education events around the world. He was a co-founder at Luckybird Games, where he helped design a “Zelda with math” game that involved swords, spiders and snakes. He holds a MA from Stanford University in East Asian Studies. Tim has been involved with the education industry since 2004. Before creating Imagine K12, a startup accelerator focused on education technology, Tim was CEO of QuestBridge, an educational start-up company that helps bright low-income high school students gain admissions and aid to many of the nation's best colleges. Tim currently sits on the board of four education companies; QuestBridge, Equal Opportunity Schools, Hapara and Class Dojo. Tim spent eight years at Yahoo! Inc. as the company's Chief Product Officer. He also spent three years with Motorola in Tokyo. He holds an M.B.A. from Harvard University and a B.S. in electrical engineering from Stanford University. He is married and has two children, ages 10 and 12. Shauntel is passionate about leveraging technology to improve education outcomes. She is General Partner and Co-founder of Reach Capital, an early stage education technology fund at United States, where she focuses on investment strategy, due diligence and management assistance for the portfolio. She was previously a partner at NewSchools Venture Fund and a Senior Engineer at Procter & Gamble. Shauntel holds a B.S. in chemical engineering from Massachusetts Institute of Technology and a MBA and MA in education from Stanford University. In her free time she enjoys dancing, running and hicking. The innovation partner for public services. 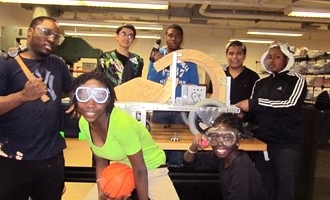 The organization develops different, better, lower cost solutions to social challenges. Working with Association of Independent Schools of New South Wales to design and deliver ELEVATE, a project to support schools to develop learning opportunities that enable high potential students to achieve at their highest potential. David is a Director of Innovation Unit and an independent consultant specialising in forming and implementing strategies to transform, through radical innovation, education and other public services. For the Innovation Unit, he, for the first six years, was Design and Development Director of GELP, and continues to lead GELP support to Brazil and British Columbia; co-lead the work in New York; is responsible for the work in Learning Frontiers on scaling and diffusion and leads ELEVATE. David has worked with school leaders, national agencies and government Ministers and officials. From 2002 to 2005 he was Principal Adviser in the UK Prime Minister’s Strategy Unit with responsibility for education and public services. Prior to his work in the UK government, he created and led the education practice in the Office for Public Management. He regularly leads and facilitates the Australian and New Zealand School of Government’s master-class on creating the conditions for radical innovation. Emma is a consultant at Innovation Unit Australia focusing on learning, teaching and leadership. Prior to this she was Manager of the Australian Institute for Teaching and School Leadership’s Partnerships team and led the Learning Frontiers initiative, supporting teachers and school leaders across Australia to design professional practices that increase deep engagement in learning through use of innovation methodologies. In her five years at AITSL, Emma also worked on the Teaching Teachers for the Future ICT Innovation Fund project, the validation of the Australian Professional Standards for Teachers and led the development of a range of online programs and tools. Prior to joining AITSL, Emma worked as a stakeholder engagement officer for a not-for-profit conservation organisation in New Zealand, and as an account manager for a risk consultancy firm. Porvir is a communication and social mobilization initiative that promotes the production, dissemination and exchange of content on innovations in education, in order to inspire improvements in the quality of education in Brazil. Porvir is a specialized and free news agency that promotes education to the top of Brazil’s social and political agenda. Journalists from Porvir map practices, tools, research and people invested in innovations and education in Brazil and abroad. 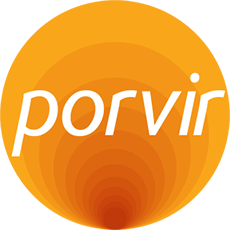 In addition to the Brazilian team, an international network of volunteers colaborate with Porvir. The so-called “Satellites” identify experiences, at every stage of implementation, capable of inspiring ideas and solutions to educational challenges in Brazil. The information gathered by the Porvir team is disseminated through the website and extensive collaboration with other media. All content produced by the team is available for free to our users. It also supports media outlets that wish to deepen their coverage on educational topics, helping identify powerful stories, reliable sources, and innovative solutions. Porvir works to mobilize decision makers as well as the general public. Strategic meetings inspire and guide governments, investors, social entrepreneurs, experts, education and human resources leaders to generate positive change. Porvir is an initiative of Inspirare, an institute that seeks to inspire innovation in entrepreneurial initiatives, public policies, programs, and investments to improve the quality of education in Brazil. Having completed her studies at Columbia University and Federal University of Bahia (UFBA), Ana Penido is a journalist specialized in Human Rights and Social Management for Development. In 2011, Penido participated in the Advanced Leadership Initiative at Harvard University. She was the founder and director of CIPÓ: Interactive Communication Initiative, and was administrative director of UNICEF's São Paulo and Minas Gerais offices. She is currently director of Inspirare. Heloísa is the founder of WE FAB, connecting the maker movement with innovation through her methodology Maker Innovation. Neves is a professor of Design for Engineering at Insper Institute of Education and Research and serves as the director of the Insper Fab Lab. She has been fully immersed in the maker universe since her first experience with Fab Academy at Fab Lab Barcelona. Since then, Neves has established several maker labs and has advised corporate partners and other institutions on implementing a maker culture, developing hands-on, collaborative and dynamic environments. Natacha holds a license and degree in psychology from São Paulo's Catholic Pontifical University (PUC-SP). She is executive director of the Learning School City since 2006, where she is responsible for the strategic development of the Center for References in Integral Education. She is also recognized by Fundaj/MEC as a full-time member of the Editorial Commission for Integral Education. WISE is an international, multi-sectoral platform for creative thinking, debate and purposeful action. Qatar Foundation, under the leadership of its Chairperson, Her Highness Sheikha Moza bint Nasser established the World Innovation Summit for Education (WISE) in 2009. WISE is an international, multi-sectoral platform for creative thinking, debate and purposeful action. WISE has established itself as a global reference in new approaches to education. 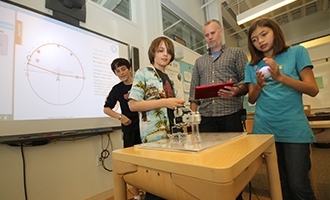 Through both the annual Summit and a range of ongoing programs, WISE is promoting innovation and building the future of education through collaboration. At the turn of the millennium, the world made a promise of universal primary education. Sadly, the reality today is that some 58 million children are still not enrolled in school. With the failure of the global community to achieve this key Millennium Development Goal, education stands at a crossroads. In his recent BBC blog, Sean Coughlin reveals that enrollment figures alone are hardly an accurate measurement of the true challenge we face. He notes that a further 100 million children do not complete their primary education, and another 250 million attend schools of such low quality that they leave without even being able to read a sentence. As committed education stakeholders, we must now carefully reconsider our approach and advance practical strategies that will help achieve the aspiration of making quality education available to all as a genuine human right. Among the hard lessons learnt in the MDG process is that getting young people to attend school and keeping them there is often correlated with teaching quality. Without vigorous support for teaching at the core of our renewed targets for 2030, we risk failure again fifteen years from now. As our interconnected world grows more complex, rising expectations and evolving needs in diverse regions of the globe present new challenges to nations and communities. Beyond access to quality teaching, our education curricula must focus on the tangible skills and attitudes our students need to leverage technology and to thrive in changing and often challenging economic circumstances. Moreover, our school systems must provide rich environments for students to practice the soft skills of citizenship, cooperation, and determination that are essential for the success of individuals and communities today. The innovative practices presented here by InnovEdu address a range of issues related to these key themes around teaching, 21st Century skills and technology, and global citizenship. Now in its seventh year, the World Innovation Summit for Education has played an active role in identifying and supporting innovative educational projects and movements globally. WISE is a multi-sectoral platform for education leaders, social entrepreneurs, and thinkers committed to supporting creative action through collaboration and innovation. WISE was established in 2009 by Qatar Foundation under the leadership of its Chairperson, Her Highness Sheikha Moza bint Nasser. Her Highness has long been a passionate advocate for access to quality education as our most effective tool for individual empowerment and social transformation; she further recognizes that education requires innovation to fulfill its potential. The WISE Awards annually recognize six projects that apply novel education practices and have brought about positive social change around the world. Several of the projects described in this publication are WISE Awards winning projects or finalists, while others have been noted in books published by WISE in recent years. 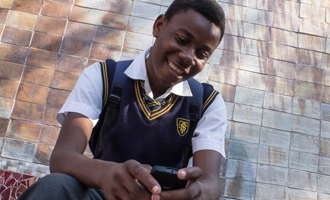 Teacher Education in Sub-Saharan Africa, known as TESSA, is a network of universities and organizations collaborating to improve teacher education by creating and disseminating open education classroom materials in 12 regional nations. TESSA, based in the UK, is a WISE Awards winning project from 2011 featuring contextually relevant, flexible resources that improve teacher effectiveness and student-teacher interaction. Teachers gain deeper understanding of student centered approaches, and how to engage learners’ skills in constructing knowledge collaboratively. Over half a million teachers and student teachers have benefited from TESSA’s open education resources, with a particularly significant impact in rural areas. ALISON –Advanced Learning Information Systems Online-- a 2013 WISE Awards winning project, is a learning platform with a unique model that provides users worldwide with free access to self-paced courses. ALISON, based in Ireland, focuses on serving the marginalized who are seeking certification of practical skills. It uses an innovative testing system allowing an employer or college to challenge an ALISON graduate at any time with an online test for the course they have taken. With some five million registered users and 300,000 graduates, ALISON has significantly expanded employment opportunities globally. Me & MyCity, a 2014 WISE Awards winning project based in Finland, tackles student disengagement by providing 11 to 12 year-old students with a hands-on environment where they learn concepts of social, civic, and economic engagement. The tailored curriculum features a 500 square meter miniature town with moveable elements where the students interact in a dynamic environment presenting challenging, real life situations. These are but a few of the one hundred innovative, practical solutions to education challenges presented in this edition of InnovEdu. This catalogue of creativity should serve as a valuable tool for educators, policymakers, and change-makers in any field. We hope they will inspire and spark new energy, and lead to further exciting work in building strong communities everywhere through education. In this defining moment for the global education agenda, we must seize the opportunities these practices offer by expanding their use in diverse situations and environments. Let us strengthen our commitments to building partnerships to realize the transformative power of education. Adriana coordinates the WISE Accelerator, a program designed to support young innovative projects in the field of education and technology. Adriana also manages and coordinates activities linked to the WISE ed.hub, an online platform that connects education practitioners who share knowledge and solutions to concrete challenges in their particular sectors and regions.Through her previous experiences at UNESCO, the Secretary of Science, Technology and Higher Education of Minas Gerais, Brazil, and also her activities at WISE, Adriana works closely with practitioners and teams that run innovative projects and promote best practices in education.